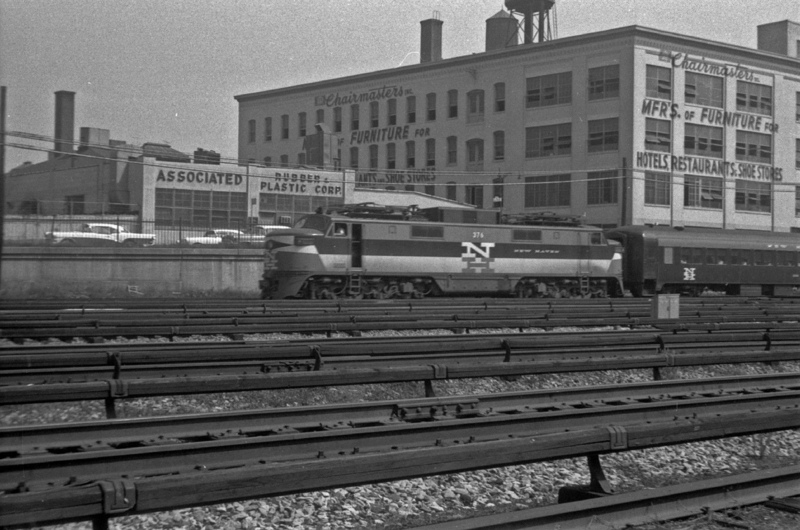 The New Haven Railroad’s EP5s were one of the most technologically advanced and final types of electric locomotives the railroad ever owned. Extremely powerful, and very noisy (which gave them the name of "Jets"), the motors proved to be exemplary in passenger/commuter operations although their high cost precluded the New Haven from owning very many of them. Interestingly, the EP5s had a relatively short service life in comparison to electric locomotives in general. 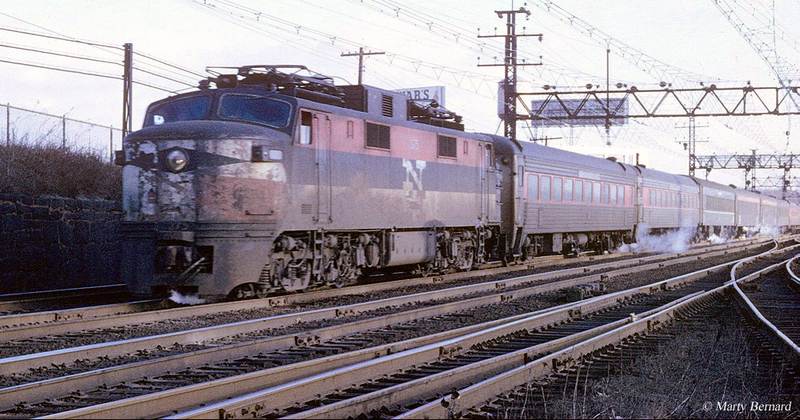 Delivered in the late 1950s after the New Haven became part of the Penn Central they were relegated to duties other than passenger service under the PC and those that still remained in service were all scrapped by Conrail in the late 1970s. For being such a new, innovative locomotive the EP5s died a rather slow death. 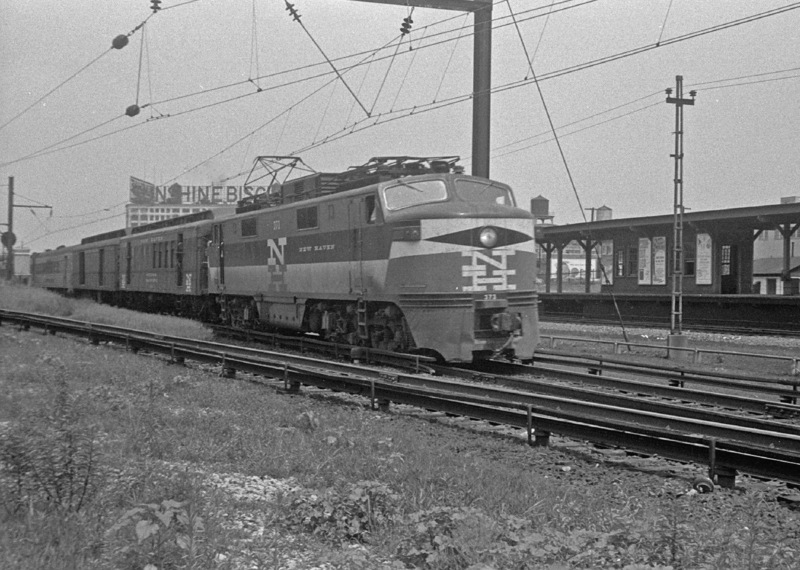 In 1954 the New York, New Haven & Hartford Railroad purchased a set of 10 Ignitron-rectifier electric locomotives from General Electric to help replace its older fleet of EP-2s and EP-3s, and complement its newer EP-4s. 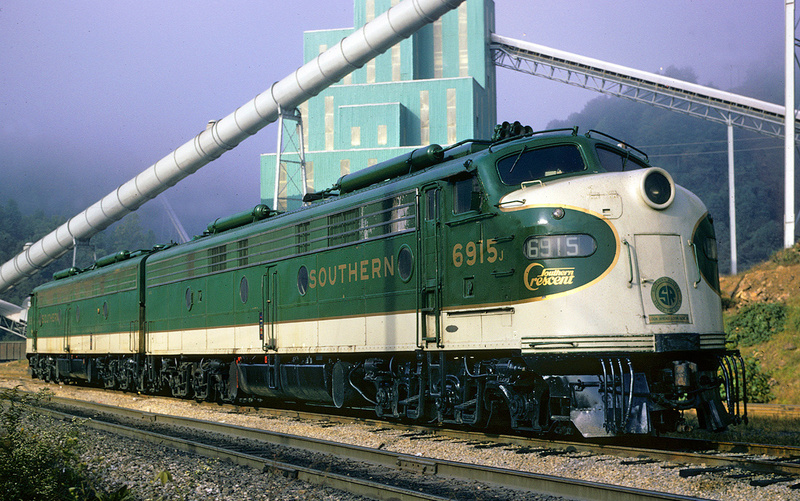 These locomotives were dubbed EP5s and were the most powerful electrics the New Haven ever owned rated at 4,000 hp and 87,000 pounds of starting tractive effort. 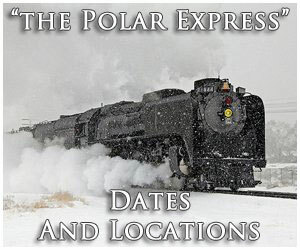 Internally the motors used nose-suspended traction motors, which were actually more commonly found on older models than newer designs (gearless traction motors, or those located within the trucks themselves, date back to the early 20th century). The EP5s were a double-ended design with pantographs located on each end of the locomotive. While not a new concept this setup truly allowed for much more efficient operations, especially in commuter service where trains were regularly operating in multiple directions, as the locomotive did not have to be turned. In any event, the model was actually quite an innovation for its day as it was the first to convert AC (alternating current) electricity from the overhead catenary, which the New Haven used, into DC (direct current) to power its traction motors. Additionally, because the EP5s operating into both Grand Central Terminal and Pennsylvania Station they were equipped to use New York Central's third-rail system as well as housed the Pennsylvania's cab signaling system. In any event, the EP5s proved their worth and were quite adept in passenger and commuter service on the NYNH&H. 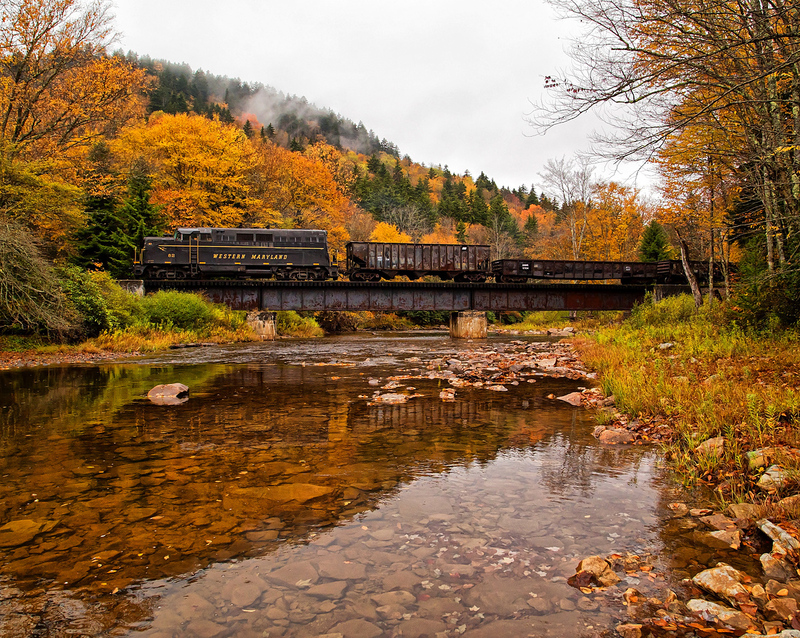 However, due to their high price tag, and the fact that by the 1950s the railroad was in serious financial trouble (it would later file for bankruptcy in the early 1960s) the NYNH&H only purchased ten units of the EP5. Instead, the railroad found that the duel-mode FL9s from EMD proved to be just as effective and much cheaper to purchase (not to mention that they could operate using both electricity and diesel as a primary fuel source). 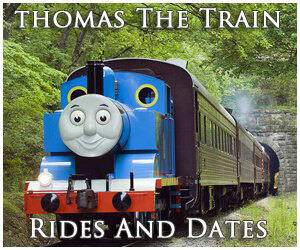 While the locomotives were quite reliable, quick accelerating, and very fast they did have some issues. Most notable was their overheating issue when in cramped places, such as tunnels and station approaches, where the loud and noisy blowers (a reason they received the name, "Jets") could not intake enough fresh air to keep the units cool. Usually, this was not an issue although after one EP5 caught fire after the creation of Penn Central they were banned from use in New York. 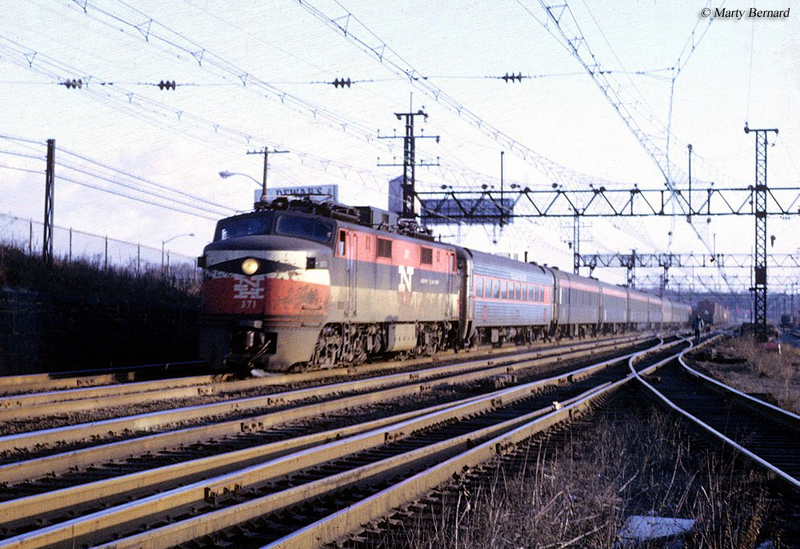 In the end, the EP5s only saw about ten years of use under New Haven before the railroad was forced into the Penn Central debacle in 1968, where the locomotives were reassigned as E-40s and remained in commuter service, save for two which were retrofitted for freight duty. Even before the PC takeover the NYNH&H had begun to park the units in favor to the cheaper FL9s. In the very late years of the New Haven the railroad lost interest in much of its electrified operations. While the FL9s were cheaper to purchase the EP5s were cheaper to operate and resulted in long-term savings. After the Penn Central took over the six now E-40s saw regular use until the 1973 fire incident in New York City's Park Avenue Tunnel, which resulted in the entire fleet being pulled from service. Incidentally, Amtrak two years earlier decided against using them along the Northeast Corridor and they sat in storage until Conrail took over PC's operations in the spring of 1976. 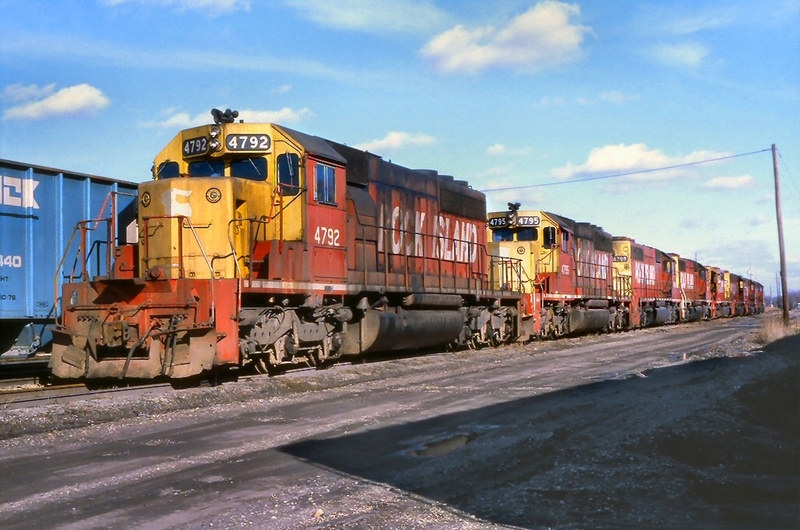 Conrail kept the fleet on its early roster, as the carrier did employ electric operations for its freight services very early on. However, none ultimately operated under Conrail and were sent to the scrapper in 1979. Today, sadly, no EP5s remain preserved. For more reading on the NYNH&H’s EP5s, and essentially all of the railroad’s motors, please consider Electric Locomotives by Brian Solomon. 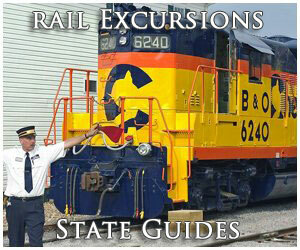 The book details most electric locomotives used in the United States beginning with the B&O’s Baltimore project and extensively covers the New Haven’s operations, in much more detail than what I have here. Lastly, for more reading on the New Haven Railroad itself consider New Haven Railroad from Peter Lynch. The book gives you a great overview and history of the New Haven (and it is filled with many, excellent, historical and colorful photographs). 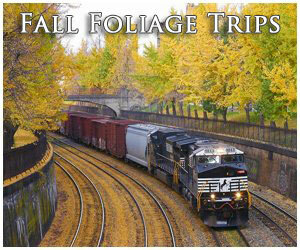 If you have an interest in the New Haven or Northeastern railroading in general, I'm sure you will enjoy the book.